Call NAN'S BLOSSOM SHOP… where we emphasize freshness and service! Nan’s Blossom Shop is your local Bryan/College Station, Texas florist serving the area for over 65 years with a wide variety of fresh flowers, plants and gift baskets to suit any style or budget. We hope you enjoy your online shopping experience with secure 24-hour ordering right at your fingertips. If preferred, you may call us to place orders direct at (979)822-1658. It is our pleasure to assist you with any local, as well as worldwide deliveries and remember that corporate accounts are always welcome. For your convenience, we offer daily floral delivery to local funeral homes, hospitals, Texas A&M University and our local area. Nan’s Blossom Shop is open to serve your floral and gift giving needs: Monday through Friday 8:00 am to 5:00 pm and Saturday 9:00 am to 12:00 noon. Closed Sunday. Wedding flowers from Nan’s Blossom Shop will make your special day a beautiful and blooming success!! We also offer on-site floral decorating for special events, corporate functions, parties, and other gatherings – large and small. 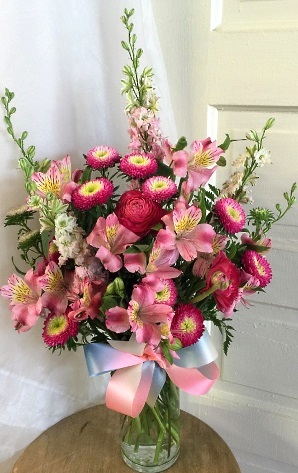 Call us in advance at (979)822-1658 to set up an appointment for a consultation with one of our floral professionals. 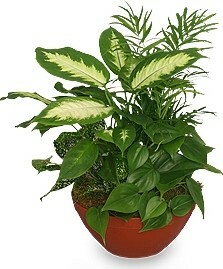 Our shop has a variety of unique gift ideas for all ages and occasions, including Dish Gardens, Green Plants, Blooming Plants, Baby Gifts, Candy & Chocolates, Greeting Cards, Home Décor, Scented Candles, Silk Flowers, Stuffed Animals, Balloons, Fruit & Gourmet Baskets, Junk Food Baskets, Gift Baskets, Ceramics, Crystal Items, Holiday Containers and more! Ask our staff about customizing a funeral floral tribute to a departed loved one or friend. We can help you choose flowers or plants that beautifully convey your expressions of sympathy and serve as a lovely memorial to the deceased. Thank you for visiting our website for flowers delivered fresh from a local Bryan, TX florist, Nan's Blossom Shop!